If you are looking for information on the Uretek ICR franchise business opportunity, Uretek ICR concrete lifting franchises or Uretek ICR franchising , then you have come to the right place. It's Your Future. We Deliver the Raw Materials. 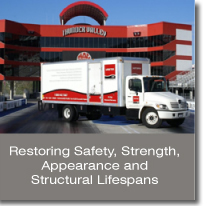 To be the leader in concrete lifting, soil stabilization, and infrastructure sealing - for industrial, commercial, and residential facilities - by restoring safety, integrity, appearance, and lifespans to existing structures in your territory. To deliver the best customer experience and value possible through the application of the best, patent protected processes and methods to solve complex structural re-alignment, infrastructure sealing, and soil compaction problems in your territory. 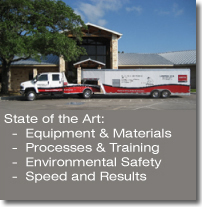 To utilize the most technically advanced materials, proven service delivery processes to contribute and continue an unparalleled safety and customer-value record in the industry. To build your own business around a culture that places a high value on personal and professional integrity, attention to customer experience and satisfaction, honesty, diligence, and hard work - that consistently "wow's" the customer and brings new opportunity. Why URETEK ICR - Northern US? We have the most advanced processes, materials, products, and business model in the industry - allowing you to get a head start on the path to success. You get the best training, marketing support, technical help, and sales support in the industry - helping you get to revenue and operational productivity faster. You benefit from a worldwide brand that has completed over 85,000 successful projects, and innovation that sets you apart from the competition - bringing credibility to your business and customer engagements. URETEK ICR - Northern US is offering a limited number of exclusive territories. Each of these territories has been determined to have the right mix of industrial, commercial, and residential structures upon which to build a growing business. The opportunity is to leverage over 30 years of worldwide experience in solving complex concrete lifting, soil stabilization, and infrastructure sealing problems in an exclusive territory, with patented products, processes, and methods, for which there are few competitors. The opportunity is to build a sustaining business that can't be moved 'off-shore', that is applied to buildings, slabs, and structures in your area, with a service that restores capability, safety, structural integrity, and appearance - quickly, safely, and with environmentally-friendly results. It is an opportunity to join a team dedicated to success, delighting the customer, and superior value - at every turn. What does URETEK ICR - Northern US Offer? Exclusive Territories: Each territory has specific boundaries within which we will not assign to any other sublicensee or distributors. The territory is yours to exploit with the safety of no direct URETEK competition. Patent Protection: By extension of the exclusive contracts we have with the patent holders, all affiliates are accorded the same patent protections on the associated methods, processes, and materials. Training: Each new affiliate goes through training on the products, processes, methods, selling, and marketing. 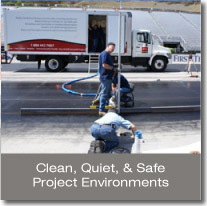 This training is offered at our headquarters location, and is followed up with in the field. Advertising: URETEK ICR - Northern US works with all of its affiliates in designing and executing advertising campaigns across all its territories - both in print and on-line. Leads: With the partnerships we have and the advertising we do, we reassign all leads we receive to the appropriate territory affiliate. We'll even help you close them, if you need us to. Proven Business Model: Since we've been at this a while, we know what works and what doesn't work. You benefit from this experience through the implementation of a business model that has proven effective for other URETEK affiliates - across the country. A Great Culture: You will see and benefit from a culture that values people and the customer by how we conduct ourselves with the highest level of personal and professional integrity, honesty, trust, professional growth, and an orientation toward being successful. URETEK ICR - Northern US is the exclusive sublicensee for the URETEK Deep Injection, URETEK Method, and URETEK Star 486 & Star 684 Materials for 28 northern states - stretching from the Pacific to the Atlantic. URETEK ICR Northern US was started in late 2005. This business was started by three proven businesspeople, from the construction and high-technology sectors. These individuals conducted deep investigation into the materials, processes, and methods as to their uniqueness (patent protection), applicability, competitive landscape, environmental and customer/business advantages, customer/market value proposition, and proven success in other parts of the US and the world. Based on the results, URETEK ICR - Northern US was formed to create new opportunity for others through this exciting sublicensee/distributor program. URETEK ICR - Northern US leans heavily on an over 30-year heritage of success, around the world, by extending that heritage to where you live, shop, and currently work. We've already developed the Pacific Northwest and part of the mid-west. And, now are focusing on offering this new opportunity to those that want to offer this same value to the northeastern US.